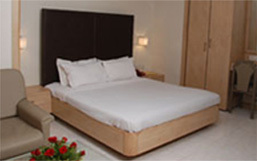 Hotel President is situated at Indore, and is the most preferred business hotel in the heart of the City. This Hotel extends maximum amenities under one roof with efficient management and cheerful staff providing round the clock service, it has 49 well appointed A.C. rooms andsuites having separate living room. Hotel President is operational in Indore since 1990. 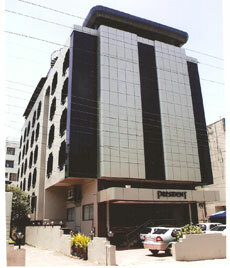 It is the most preferred business hotel in the heart of the City, is just 8 kms from Airport. This Hotel extends maximum amenities under one roof with efficient management and cheerful staff providing round the clock service. 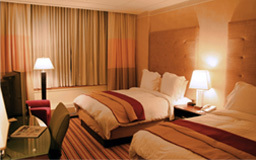 All the rooms are equipped with refrigerator and remote controlled TV, direct dialing with S.T.D. facility. The beautiful lobby of Hotel President is worth a glimpse, with breathtaking interiors, glass doors and chandeliers creating an out-of-this-world look. The WOODLAND RESTAURANT is an all time favorite with its pure vegetarian cuisine prepaid from nourishing ingredients and excellent service. You can also avail the services of the luxurious EXCLUSIVE Banquet Hall with a seating capacity of 175 persons in theatre style to organize big conferences and seminars. There is a special Board Room for small meetings and kitty parties to accommodate 25-30 people. Hotel President arranges for your Air Tickets with its own approved Travel Agency. The Car Rental Division takes care of your surface tours. Whether you are on an official tour, business trip or holiday you will appreciate the way Hotel President fulfills your expectations. 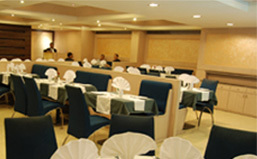 Come to Hotel President and experience the best of Indore. Hotel President gives the full satisfaction to its Guests at a very affordable price compared to the facilities and the location of the Hotel.